...and it's birdy approved! heeheehee. A) Follow and/or subscribe to the participants: Please "Follow" and/or subscribe to the newsletters of Caardvarks and Core'dinations' blog and the blogs of Caardvarks Crew ladies too (linked above). B) Hop & Comment: Visit each DT member's blog and leave a comment on the Blog Hop posts, each day. 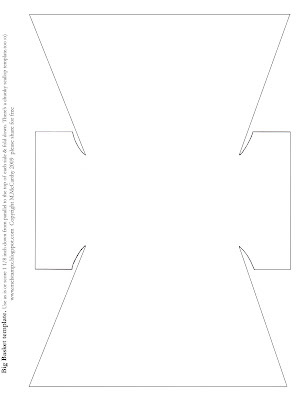 I don't know how "BIG" you may find this basket, but it is bigger than any template I've made (or maybe even used before) but it's smaller than a breadbox... :o) Hope you can use it! 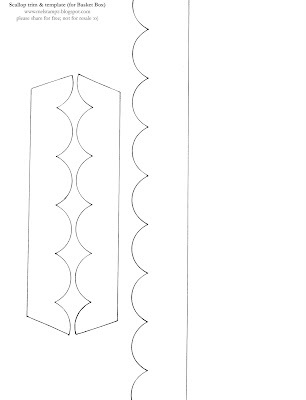 Step 7) To get a big basket template to fit on a standard piece of paper (for your printer) I added side pieces. Step 12) A fun way to get colour variation (and match your Copic marker or ink colours too): tint the sanded area by colouring with a Copic marker (this is Amethyst V17.) The broad tip-or chisel end is handy for that. No Copics? No problem! ;o) You could any colouring medium--inks, paints, etc.-- to add any shade you like. Step 13) Sanding the core'dinations again after colouring it with the marker (or what-have-you) removes a little of the colour and leaves you with some of the original Core colour as well as the colour you added. & attach that to the side of the basket box. 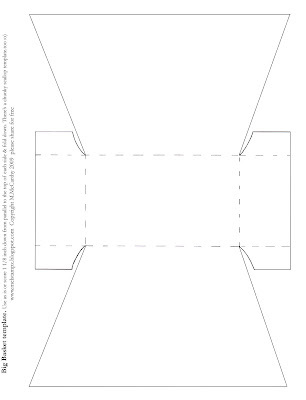 Step 16) Adhere a second side piece in the inside of the box-to sandwich the handle (this also makes the higher sides.) If you want no handle just omit it & add sides only. Step 18) Repeat the embossing, sanding, & copic colouring process with the scallop trim pieces of Black Magic & stitch it, if you like. A) Putting the needle & thread through the button, the bow & the basket handle. A) Pick a needle that will fit your beads & pierce a hole in the basket handle. (but you can only print the text not save it.) Too cool, hey? woven texture & can get any custom colour you want. the next stop on the hop! I hope you can join us in our first ever hop; the Ladies on the Caardvarks Crew have made some AWEsome Core'dinations projects! It always AMAZES me how much detail you put into your posts!! Gorgeous Mel! I thought just the card was amazing, but now that I see the whole set together...WOW! I love this...great job ! My goodness what an awesome post!!!! Thank you for all the work you did - the tutorial, templates and how to's! LOVE that black with purple core'd paper! YUM!!!! You put so much effort into showing how you achieved your result. Thank you! It's beautiful. Great job!! You put so much into your directions!! Thank you!! Another absolutely AMAZING project and step by step! WOW, WOW and more WOW....Mel, you amaze me and you have to be the most generous crafter giving away all your templates...Love everything you create and I mean, EVERYTHING!!! WOW!!! What a GORGEOUS card and STUNNING gift basket!!! Thank you for all the detailed instructions. I'm blown away! 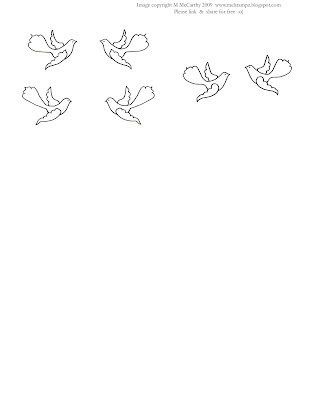 Love the bird story *almost* as much as your lovely projects! WOW!! Thanks for the details, tutorials, and templartes! Wow holy smokes that is a a whole class of info, Great projects love the basket! You amaze me, Mel! Fabulous job! WOW!!! Gorgeous project and I love all your tutorials and patterns. I'm hopping. Love your blog,Mel. This Bird gift set is amazing. You are incredible. What an amazing post, thank you!!! Wow. There was an incredible number of tips, giveaways, ideas and inspiration in this post. Thanks to you, I embossed printer ink for the first time and I think it may be my favorite technique ever. 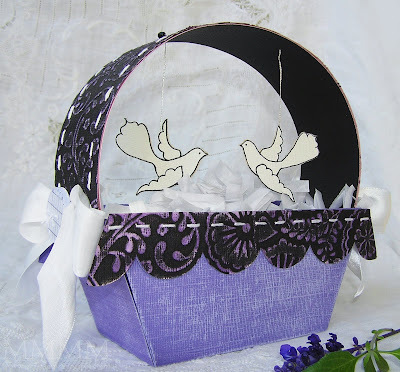 Love the basket and card - think I might make one. WOW! I am speechless. WONDERFUL projects and so detailed! Can't wait for more! What fantastic projects! Thanks for the tutorials and templates, and all the work you've put into them. Love the purple with blk with purple showing through. That Thank You Martha medallion is a neat idea. Love the purple stitching and pretty birdies. wow! what an incredible post! so much useful information! thanks for sharing and this all looks really beautiful!! HOLY MOLY!!! WOW!! I can't believe how amazing this is.. You can tell this took a lot of talent to come up with.. Your time is appreicated.. 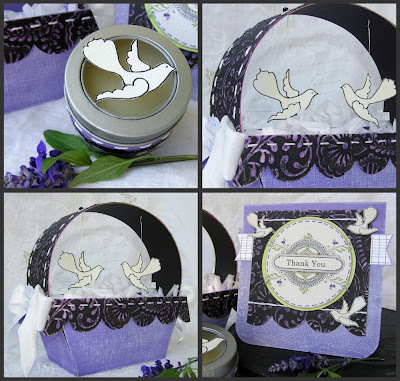 This is an amzing tutorial with everything we need for that absolutely fabulous creation. LOVE the fact that you are always so willing to share everything! I do appreciate it! This is a great project. Thank you for the instructions!! Beautiful! Wow that was long but awesome. Thanks so much for the tutorial! Amazing! And downloads to boot! Too good to be true! Thanks! I have to agree with some of the others - your work is so detailed. Beautiful projects and thanks for the tutorials! beautiful! 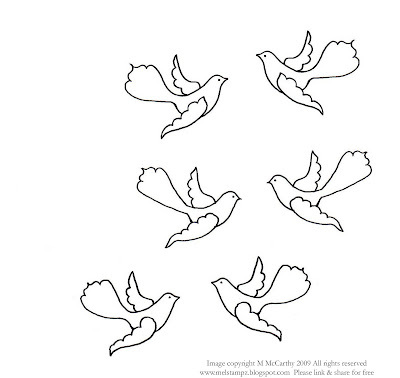 I love the birds and can't wait to try your tutorial! You put a lot of work into this! Amazing creations! Amazing directions and tips! Thanks, Mel! You Rock! So cool!!!! lOVE the template! Great post! Be back tomorrow! WOW the details you have shared are Awesome!!! wonderful project! thanks for sharing!!! Wow Mel, this post is amazing! So nice you show us how to do these gorgeous projects! Thank you for the really great tutorials. Love them! Wow, you are so talented! These projects are gorgeous!! Awesome as always Mel! I love coming to your blog to see what's new or modified LOL. Thanks for the opp to win Core'dinations paper! W.O.W. Very nice and super creative. Thanks so much for the patterns and tutorials! Oh mi goodness.... you are the Queen Mother of Papercrafting!!!! Thank you for the tutorials on such a great project! I just love the basket and I get so excited when I see your emails in my in box because I know it means something good! love the basket so much!! it's so pretty, thanks for the magnificent project!! WOW! My first trip to your blog. Let me say it again, WOW! 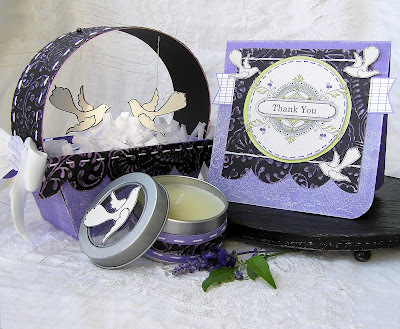 Beautiful card and basket. Love the colors. Your blog is always such a wealth of information. I appreciate all the time you must put in to be able to share so much with us. Wow, what a great tutorial! It's so nice to have that many pics for visual aid! 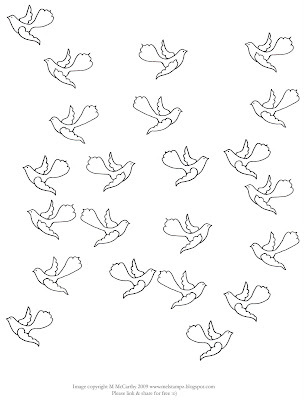 love the hanging birds and the detailed how to! So Great! I love the whole project. holy moly you have some stunning projects here today! I just love what you did and the color combos ROCK MY WORLD! Thanks for the templates too! amazing!!! love th colors and detail. can't wait to try this. What a great tutorial!! I love Core'dinations paper and I have never tried coloring after I sanded so I will definately have to try that. What great tips!! Can't wait to get my hands on some whitewash so I can try the embossing as well. Wonderful projects! thanks for the inspiration!! What a fabulous project! Love your basket and card! Beautiful! So much detail. I love it. Very nice basket set. Thank you for also posting the instructions. Love those birdies hanging from the basket. Wow...so much work went into these projects. holy cow that is awesome, i will so be back here!!! As always, another super cool super eye catching project! I love your blog and have been following for a while now. I am so super inspired by you! WOW! This is so detailed, about how you do your projects! Thanks! Great technique and step by step instructions! Great project, can't wait to try it myself! Wow! 1) AMAZING set! 2) Thank you so much for the visual tutorial. 3) You totally rocked this! Beateous...love your birdies! I know you worked so hard on that box but I find the card striking. Love the mix of elements and the layout here! Holy wowzers! I love your templates, but this is the best yet! All the detail! I want to try this so bad. And I can't believe how many great tips I got out of this. Thank you!! Holy crow... no pun intended! That's fabulous Mel! Love all the elements,tutorials and templates! Thanks! OMG this is astonishing! Thank you, thank you, thank you! Basket, birds and that amazing text thingie - wow! gorgeous project! 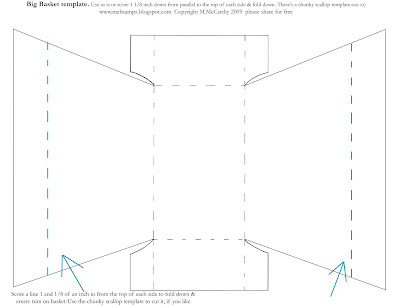 thanks for the step by step and templates! What genius work! You totally rocked the core'dinations and you little projects are just awesome! Love the colors! Very, very nice! Wonderful projects and great tutorials. Oh my gosh, what fabulous projects in purple and great post. Thanks! gorgeous project and fantastic tutorial! TFS mel! I love that basket and the details on your card are amazing! wow thanks for the tutorial and the basket. I think that can make a nice gift. WOW Mel - how long does it take you to make a post? Holy dinah! If I can't be your very best buddy/next door neighbor, I'd at least like to be a tiny little (friendly) spider on your wall to watch you create these amazing works of art! This little basket is sooooo cute! Also, thanks to your inspiration, I STITCHED on a card (it's on my blog--can you tell I'm proud LOL!) Thanks so much Mel for your generous sweet self. Oh my word! Beautiful project and an amazing tutorial! wow- these projects are amazing and that paper looks so great with the colours coming through- those little birds are so sweet and thanks for all the patterns etc. hAI MEL,o I JUST LOVE WHAT YOU HAVE MADE WITH YOUR IDEAS FOR CAARDAVARKS!!! My goodness what you can make with the lovely Core’dinations.this is just what I needed for my blog,that is soooooo boring.thanks for your projects.